With deferred maintenance and responsibilities increasing, municipal parks and recreation departments have had to get creative, turning to naming rights and partnerships with public and private entities for financial support. At the state level, some legislatures are cutting parks budgets to reduce overall spending. To help fill some of those gaps, some members of Congress and President Obama have proposed new funding for parks and recreation facilities across the country. Utah cut its state parks budget by 18 percent in fiscal year 2010 and an additional 10 percent in 2011; Georgia reduced its state parks budget by $10 million during the 2010 legislative session; and last year Texas eliminated nearly $145 million from the Parks and Wildlife budget, according to “Trends in State Funding of Parks & Recreation” from the National Conference of State Legislatures. Those actions are in addition to funding cuts for parks in numerous other states, as well as state park closures. In February 2011, Rep. Albio Sires, D-N.J., reintroduced The Urban Revitalization and Livable Communities Act (HR 709), which also had been proposed in 2009 under the same title. 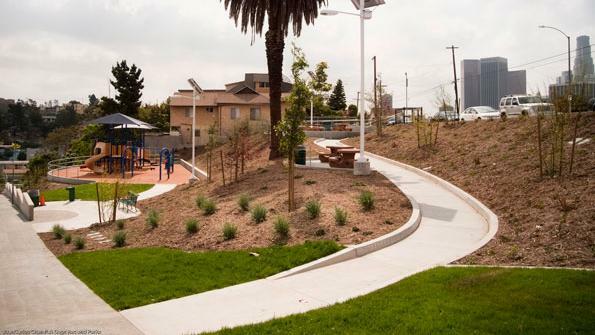 The bill would establish an urban revitalization and livable communities program that would provide $445 million in matching funds annually to local governments for parks and recreation purposes through 2021. So far, a companion bill has not been introduced in the Senate, and some think it will be difficult to get passed, especially because it creates a new program, according to Catherine Nagel, executive director of the Washington-based City Parks Alliance. In June, Sen. Jeff Bingaman, D-N.M., introduced The Land and Water Conservation Authorization and Funding Act of 2011 (S 1265), which would guarantee that the Land and Water Conservation Fund (LWCF) receives the full $900 million allowed under law every year. A similar bill also was proposed in 2009. Currently, the LWCF amount is decided by Congress through the budget approval process, with a portion allocated for the State and Local Assistance Program. Last year, Obama’s budget proposed to dedicate part of that money to competitive grants that would fund community parks; the competitive grants, however, were not approved in the final budget. Obama again proposed those grants in his recently released budget for 2013. Assistance to the states from LWCF has slightly increased over the past three years, rising from $19 million for fiscal year 2009 to $38 million in 2010 and more than $37 million in 2011. Last year, Obama requested the full $900 million for LWCF in his budget, with $200 million dedicated to states and local governments. Congress approved a total of $323 million, with the State and Local Assistance Program receiving $45 million. In his recently released budget, Obama is requesting total LWCF funding of $450 million.